We perform DQ IQ OQ PQ validation of production process in compliance to GMP standard. Annex 15 of EUGMP gives the guidelines for IQ OQ PQ Validation. All validation activities should be planned. The key elements of a validation programme should be clearly defined and documented in a validation master plan (VMP) or equivalent documents. (g) reference to existing documents. 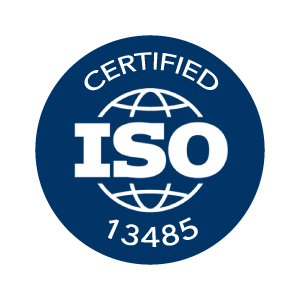 The purpose of a validation DQ / IQ / OQ / PQ is to document and test the composition, operation and performance of the machine / process or product in question. 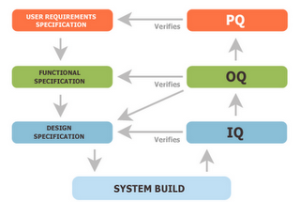 The first element of the validation of new facilities, systems or equipment could be design qualification (DQ). The compliance of the design with GMP should be demonstrated and documented. (d) verification of materials of construction. (b) tests to include a condition or a set of conditions encompassing upper and lower operating limits, sometimes referred to as “worst case” conditions. The completion of a successful Operational qualification should allow the finalisation of calibration, operating and cleaning procedures, operator training and preventative maintenance requirements. It should permit a formal “release” of the facilities, systems and equipment. Although PQ is described as a separate activity, it may in some cases be appropriate to perform it in conjunction with OQ. Evidence should be available to support and verify the operating parameters and limits for the critical variables of the operating equipment. Additionally, the calibration, cleaning, reventative maintenance, operating procedures and operator training procedures and records should be documented. Validation Protocol is drawn up in accordance with the GMP (Good Manufacturing Practice) and GAMP 4 (Good Automated Manufacturing Practice) set up and used in the pharmaceutical sector. Actually, even the medical device industry and the cosmetics are adopting these guidelines in order to obtain a high quality machines that produce, handling and wrapping products aimed at these sectors.